Due in great part to the demise of so many big-box category-killers and other larger-format retailers disintermediated by Internet sales (or otherwise unable to survive the Great Recession), a lot of regional malls, lifestyle-type properties and even factory outlet centers remain plaged by gaping vacancies. The better news for the small-balance space is that as economic recovery inches along, landlords are witnessing burgeoning demand from merchants that don't need large spaces - or locations in large shopping centers. Among these growing retailers are sub-supermarket-sized grocers - with many seeking appropriate urban infill locations - and all manner of ambitious eatery concepts. Numerous merchants offering various health care-related goods and services are also in growth mode - no great surprise given the huge boomer wave pushing toward retirement age. Auto dealerships - many of which are arguably within the small-cap retail property category - are rebounding nicely. And notwithstanding the ongoing for-sale housing slump, many metros are seeing expansion among home-furnishings retailers - at least some of which likewise operate in small-cap spaces. The latest national stats indicate decent growth in retail sales over the past quarter - including a holiday shopping season not exactly characterized as gangbusters. The Census Bureau reports that total retail sales during the November-through-January period rose a decent 4.5 percent over the year-earlier quarter. Seasonally-adjusted retail and food service sales for January alone were up 4.4 percent from the same month in 2012. The Federal Reserve's mid-January Beige Book quarterly update on economic conditions notes that retailers expressed generally positive outlooks - although they're not optimistic about strong growth anytime soon. Sales tended to pick up after the holidays - again with food, autos and home-furnishings among the brightest categories. A clear sign of the slow-growth times, the Fed also reports that lower-priced items sold particularly well during the holiday season - with high-end goods clearly lagging. Clouding the outlook are the return to higher payroll taxes - which puts fewer dollars in workers' pockets - and complex new federal health care regulations that spawn caution on growth planning. Some restaurateurs also expressed concerns about being able to pass along rising food prices to customers. If growth in furniture sales is something of a pleasant surprise, a more predictable trend is that discounters are leading the way. For example Bob's Discount Furniture, a sizable chain in the Northeast and Mid-Atlantic regions, is about to open two new stores in the resilient Washington DC marketplace. And out on the West Coast, More Furniture for Less has opened another half-dozen stores over the past 18 months or so. As auto sales rebound, some of the growth is defying the general trend in targeting high-end price points - perhaps we can chalk it up to successful boomers upgrading their toys. To wit Northern Kentucky's first-ever Mercedes-Benz dealership facility is just under construction. And not far way in Columbus, a 15,000-square-foot auto showroom featuring Airstream travel trailers and touring coaches opens in April. On the other hand, one chain catering to the not-so-prosperous set is also building and leasing new mid-sized retail spaces across the country: Goodwill Industries thrift stores. Perhaps on a more encouraging note for small-cap landlords, several of the big-box chains are now targeting smaller formats - with an emphasis on urban sites. For instance Office Depot's new prototype occupies roughly 10,000 square feet, half the traditional 20,000. Maybe the best news of all is the expansion of grocers (some with distinct specialties) proving they don't need 50,000 feet or more to survive in the era of Walmart Supercenters. Whole Foods continues its expansion nationally, while large regional chain Stop & Shop has targeted some of the shuttered Johnnie's Foodmaster sites in New England. Presumably reflecting still-tight consumer budgets, some discount-minded grocers operating mostly in modest-sized footprints are also in growth mode. 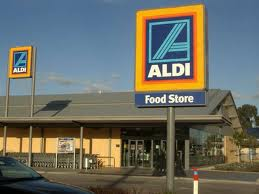 The international ALDI chain has quickly expanded into more than 30 states and continues seeking boxes in the 17,000-square-foot vicinity. And the smaller Grocery Outlet chain focused on "excess inventory" products now has more than 180 locations, mostly in six western states. Perhaps predictably the most dynamic growth category appears to be restaurants, as many specialized dining concepts that managed to do well during the weak economic period are now looking to grow. And it doesn't hurt small-balance investors' interests that a number of long-established chains have likewise returned to growth mode. We're seeing new twists on traditional fare, and whole new concepts as well. Pub houses are predictably proving popular - such as the fast-growing new The Beer Growler chain in Metro Atlanta. And of course Americans like their burgers, steaks, ribs and such. Numerous newfangled burger joints are growing aggressively - such as the popular BurgerFi chain featuring all-natural Angus beef. Freddy's Frozen Custard and Steakburgers is approaching 100 sites and expects to continue expanding quickly. Still-smallish, more focused outfits are likewise looking to push the envelope, such as the 4 Rivers Smokehouse barbecue restaurant chain, which is opening sites in Florida including Jacksonville and culinary hot spot east Orlando. And we're seeing some new specialty concepts catering more to take-out customers while offering limited dine-in accommodations. An example here is Sushi Avenue's new Sushi One-Two-Three format. Healthy fare can also boast burgeoning appeal. The vegetarian chain Veggie Grill is up to 16 locations in the three Pacific Coast states after doubling its footprint in 2012. And management expects the count to double again over the coming 18 months or so. Small-cap retail developers can also expect interest from several larger chains still going strong post-recession. Panera Bread has more than 1,600 company-owned and franchised bakery-cafes, while similarly sized Chipotle Mexican Grill this year is looking to match 2012's 180-ish openings. Even an old-school chain like Dunkin' Donuts continues pursuing franchisees able to get new sites developed in under-stored markets - like New Orleans, where management would like to see maybe another dozen or so locations near-term. Aging boomers are likewise likely to support growth of various other health-related retailers: think Pearle Vision, or Miracle-Ear Centers. While the highest-growth athletic clubs and sporting goods category-killers tend to go the really-big-box route, small-cap retail landlords can cater to a few smaller-format outfits. For instance the boxing/kickboxing gym Title Boxing Club has hit the 50-unit mark - with soon-to-open Central Florida locations planned at about 7,500 square feet. Another highly specialized athletic goods chain seeking more sites is Playtri Performance Center, which caters to hard-core althletes - triathletes in particular. The venerable Gold's Gym fitness center chain is also pursuing its streamlined format, dubbed Gold's Gym Express, which can work in spaces below 15,000 feet. We're even seeing a few swim-school chains looking to make a splash. Indeed some outfits seem to defy categorization - such as Zoom Room, the national chain of dog training clubs that's expanded to 19 locations in nine states.